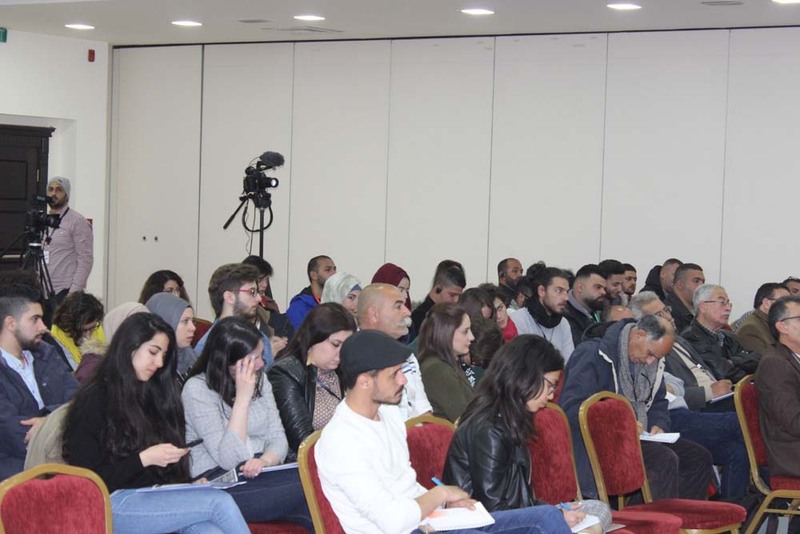 BADIL concluded a two-day conference (25-26 March) entitled “Right of Return: Towards Practical Approaches”. 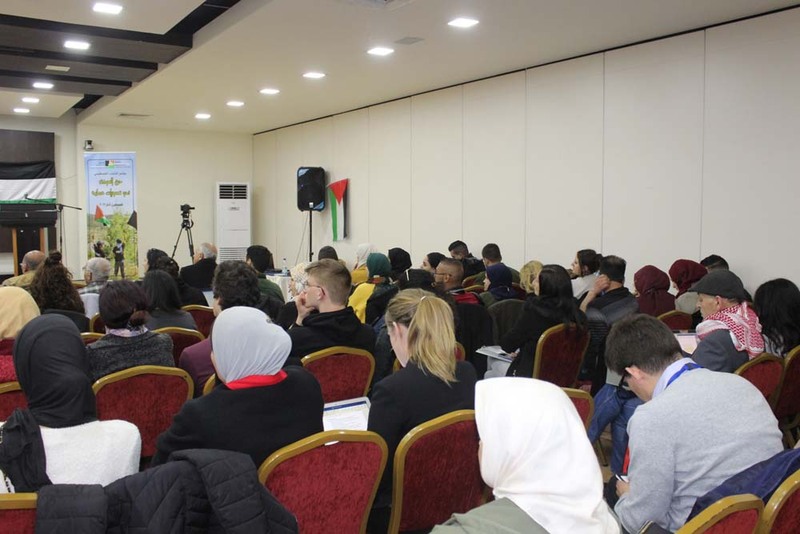 The conference aimed at encouraging the exploration of the practical realization of return and targeted Palestinian refugee and internally displaced youth. 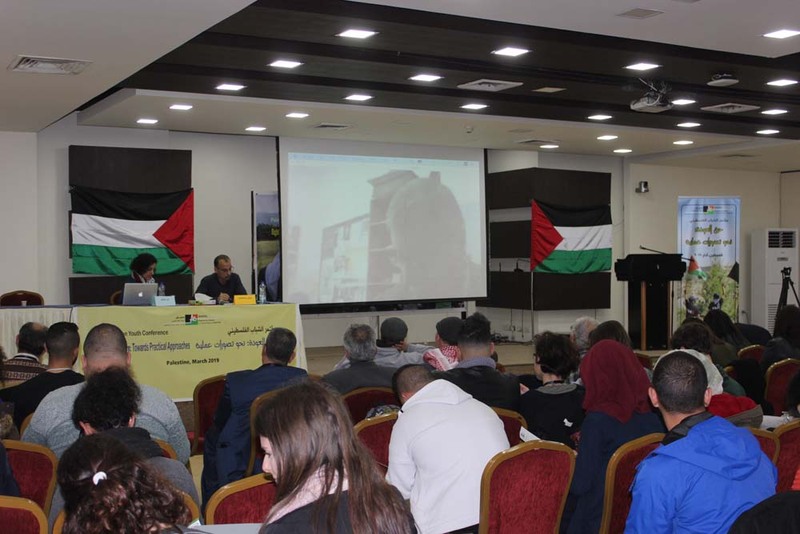 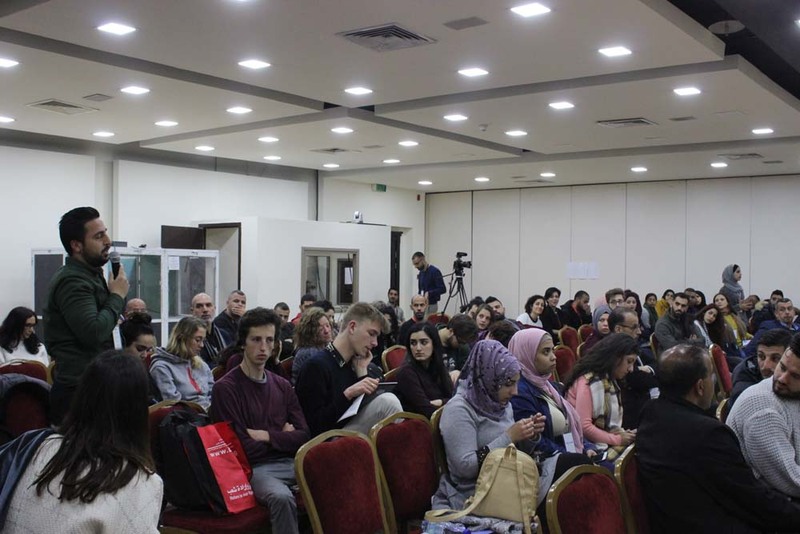 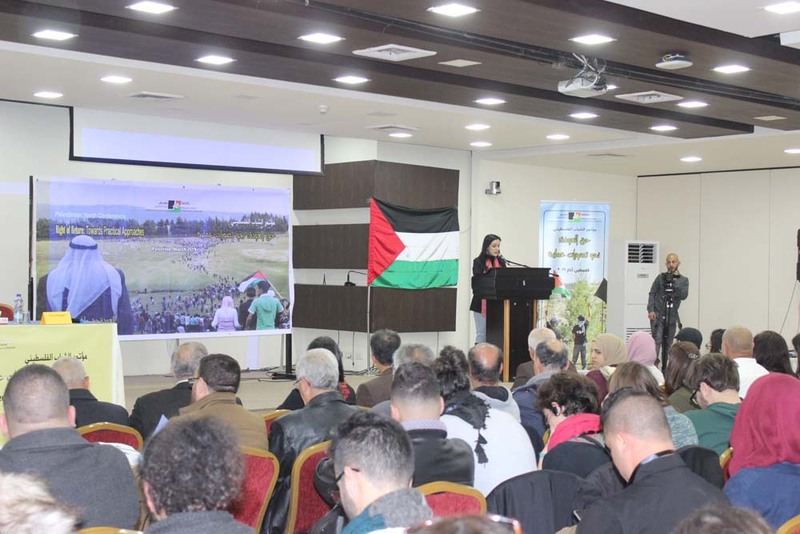 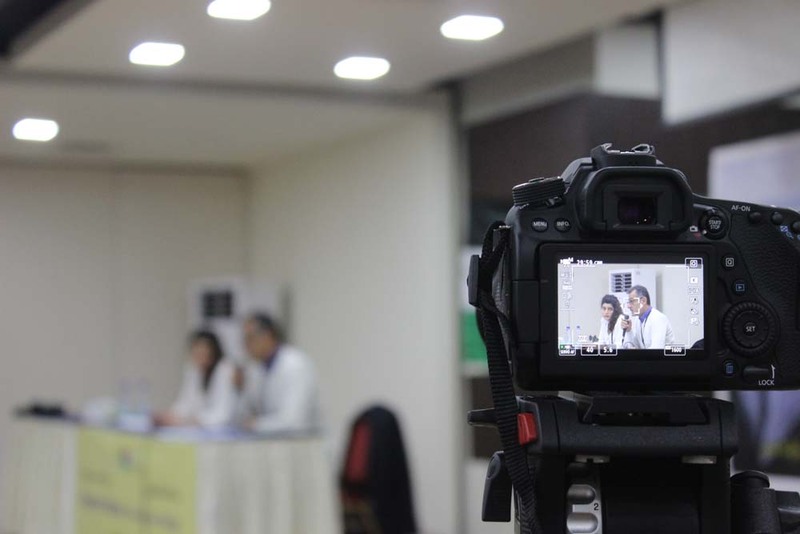 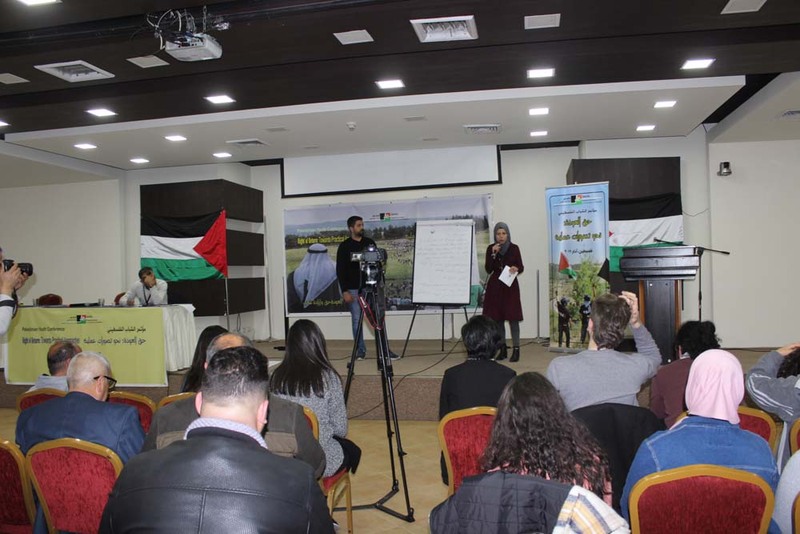 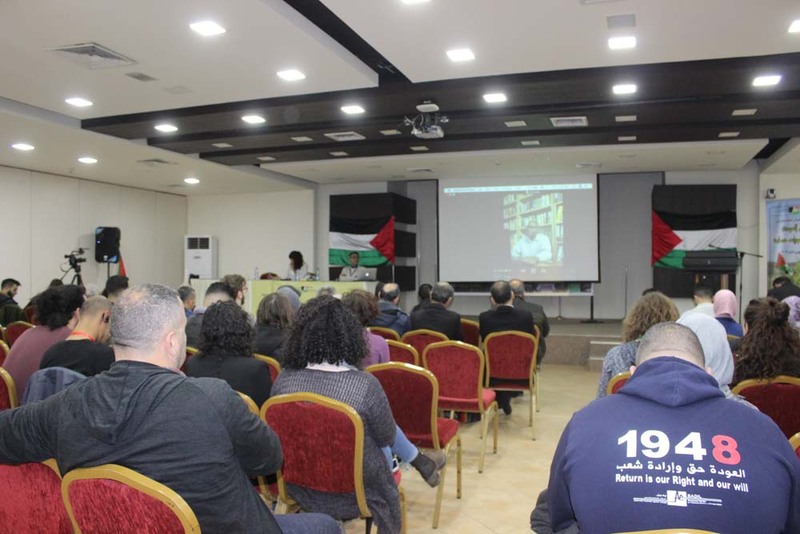 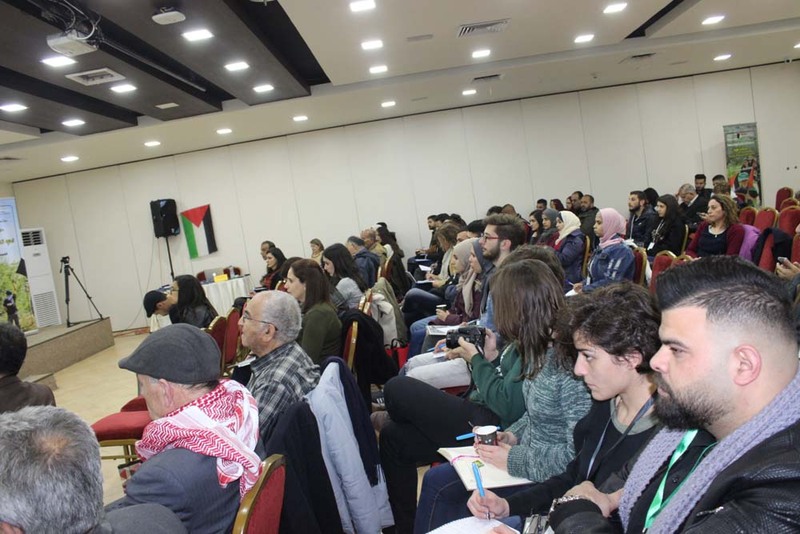 The conference was attended by over 140 people from all over Mandatory Palestine and featured interventions from Lebanon and South Africa on skype. 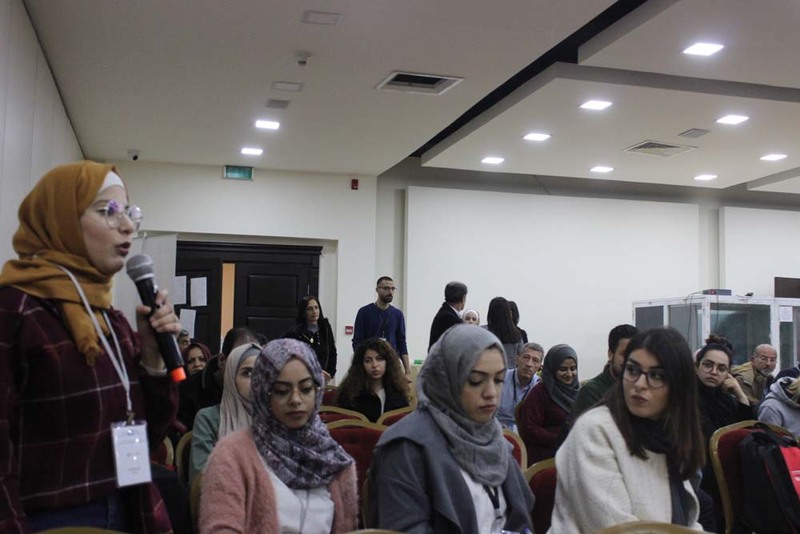 Approximately, 66 percent of the attendees were youth between the ages of 19-29, of which over 60 percent were female. 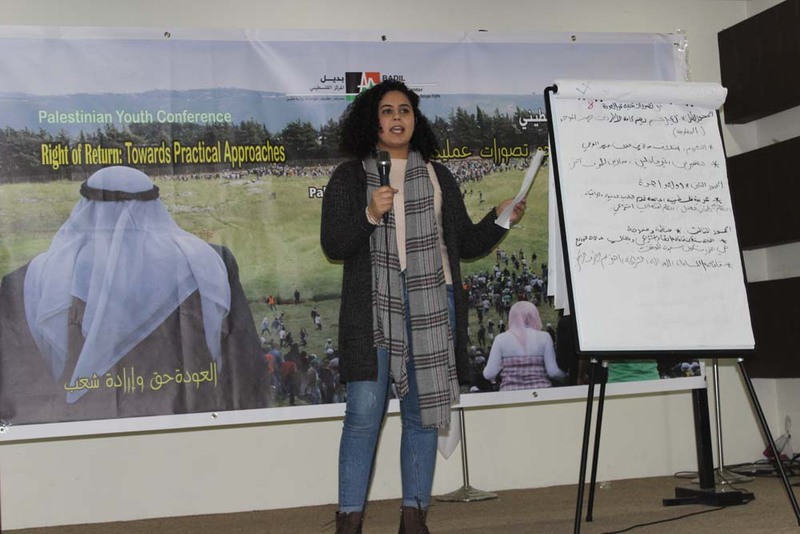 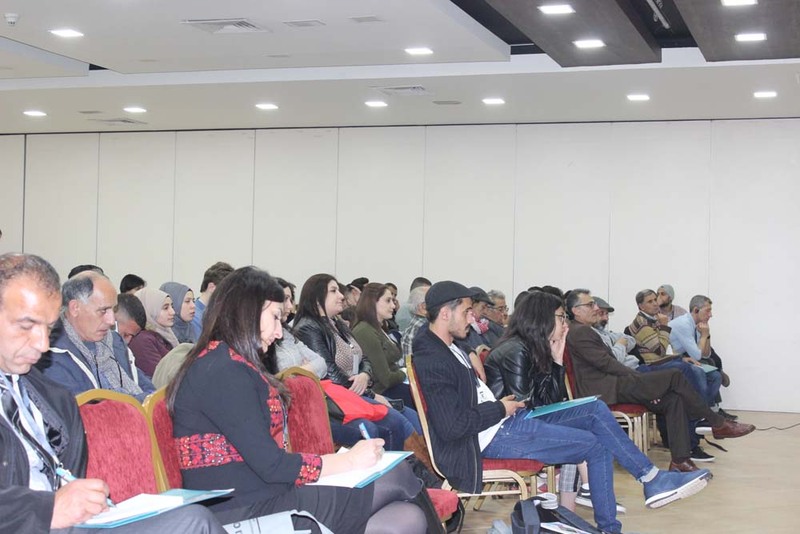 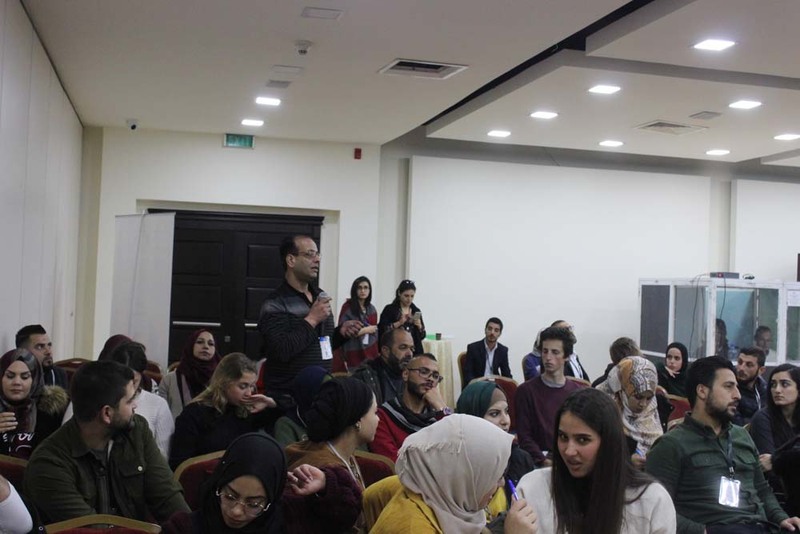 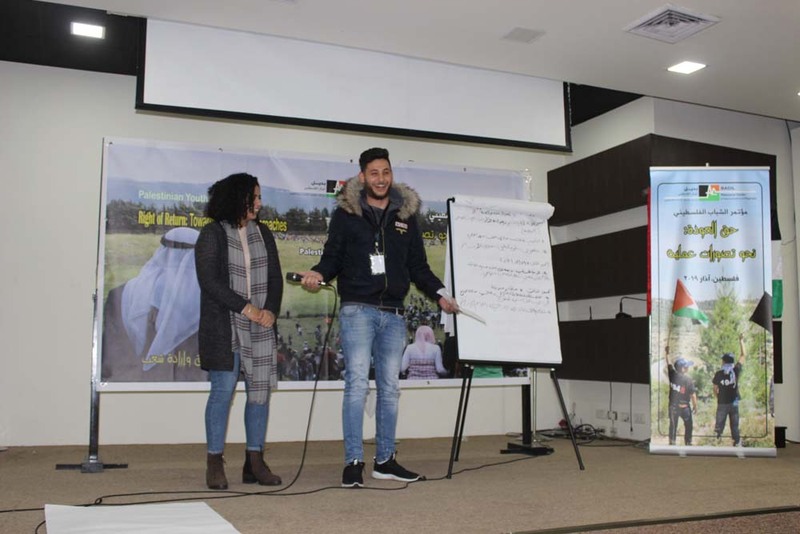 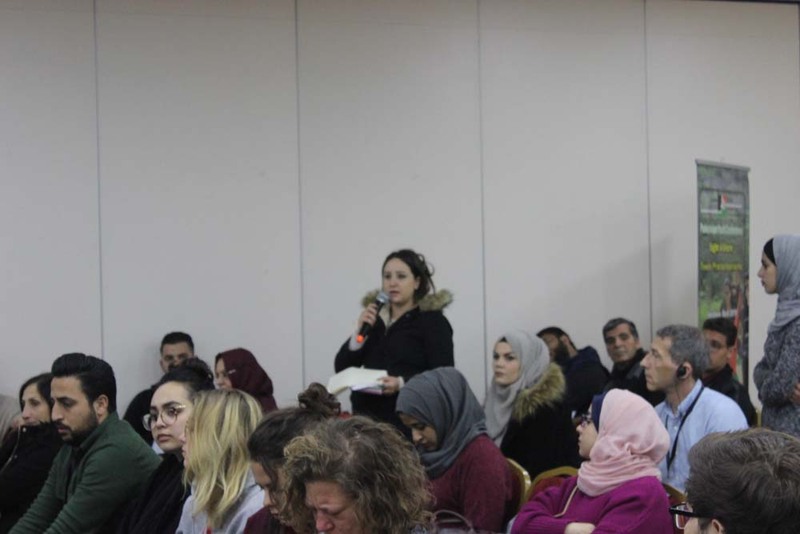 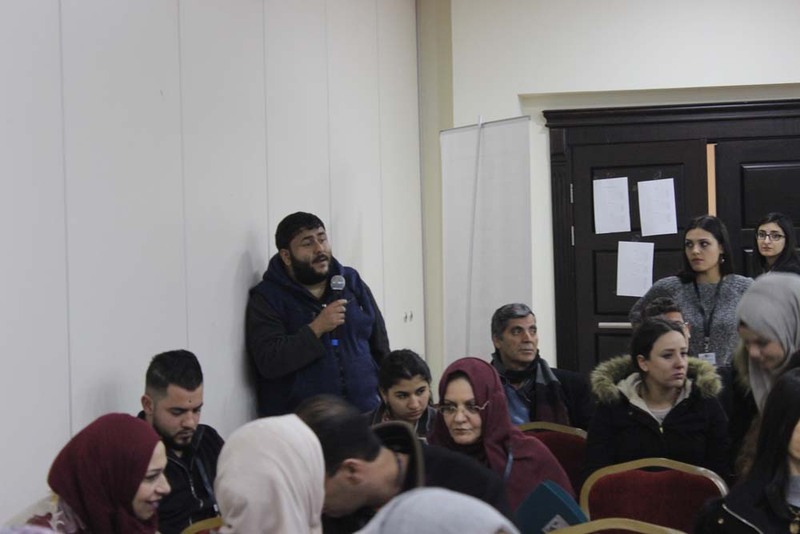 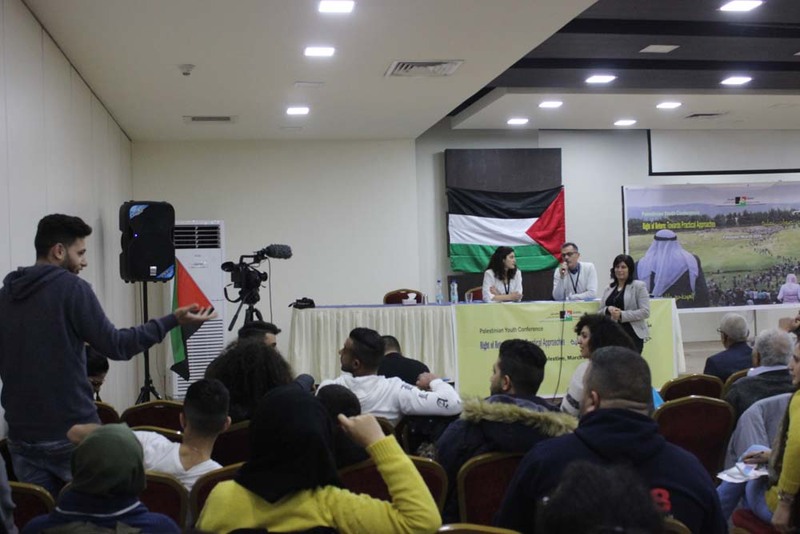 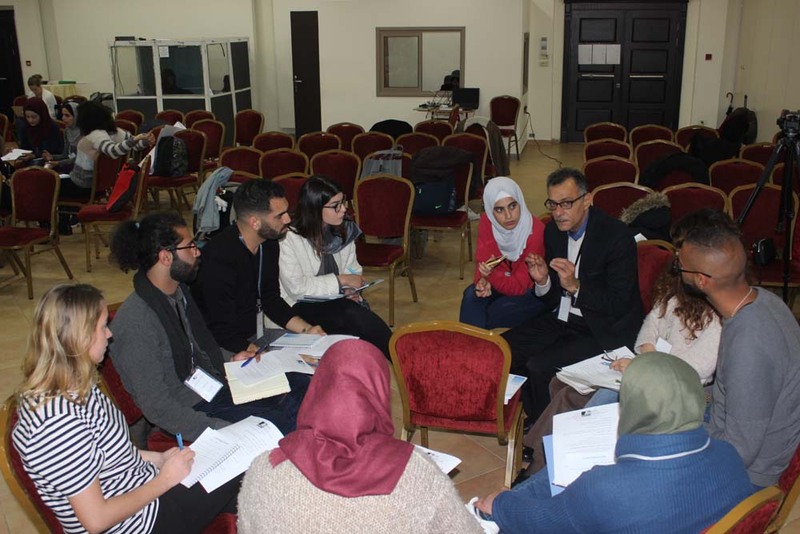 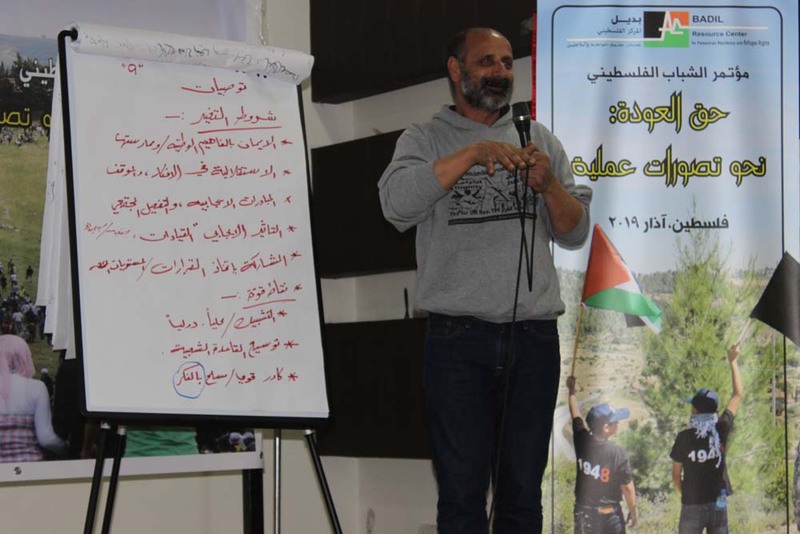 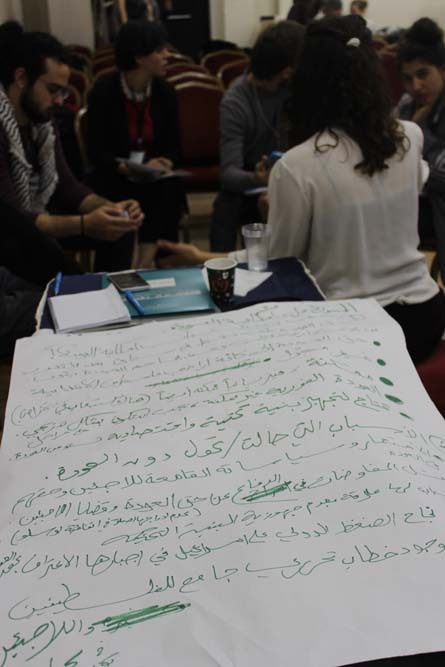 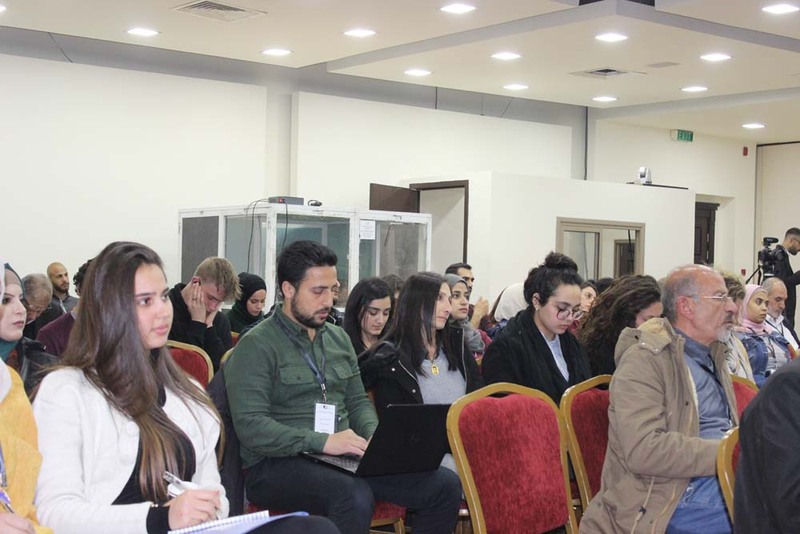 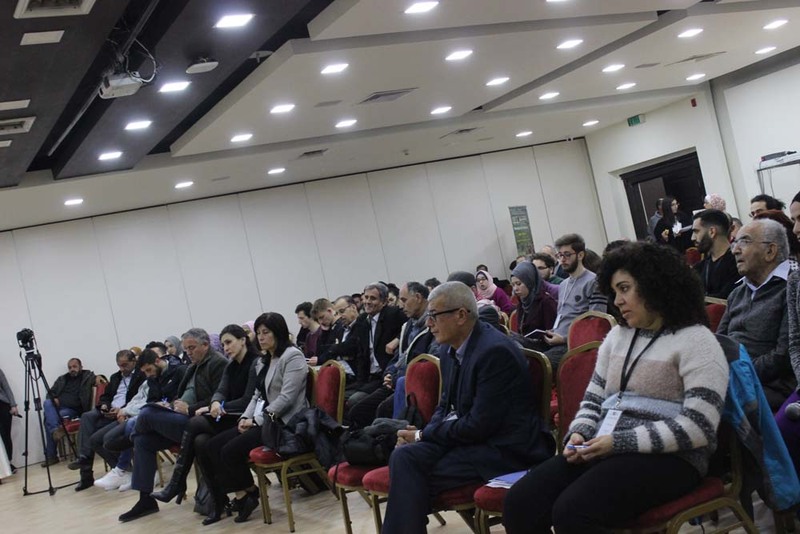 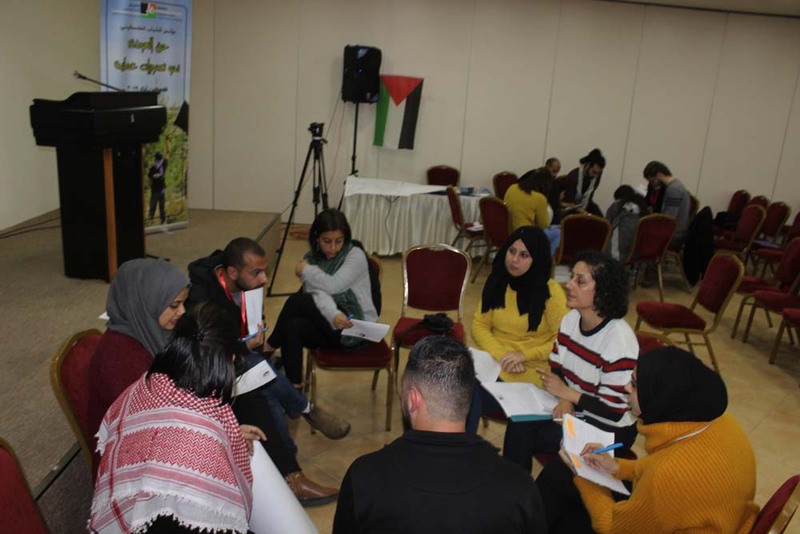 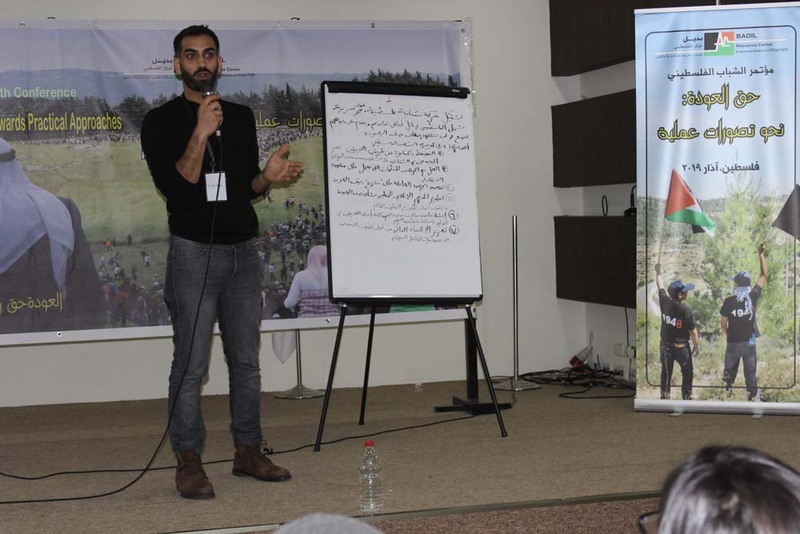 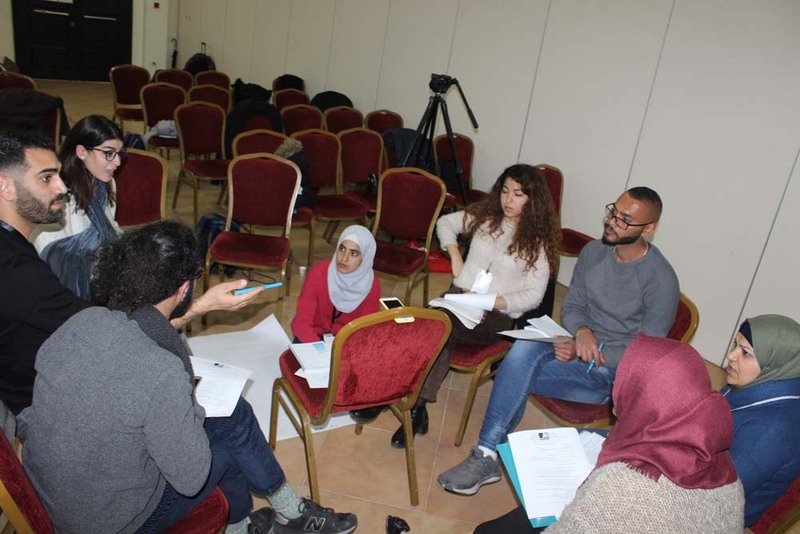 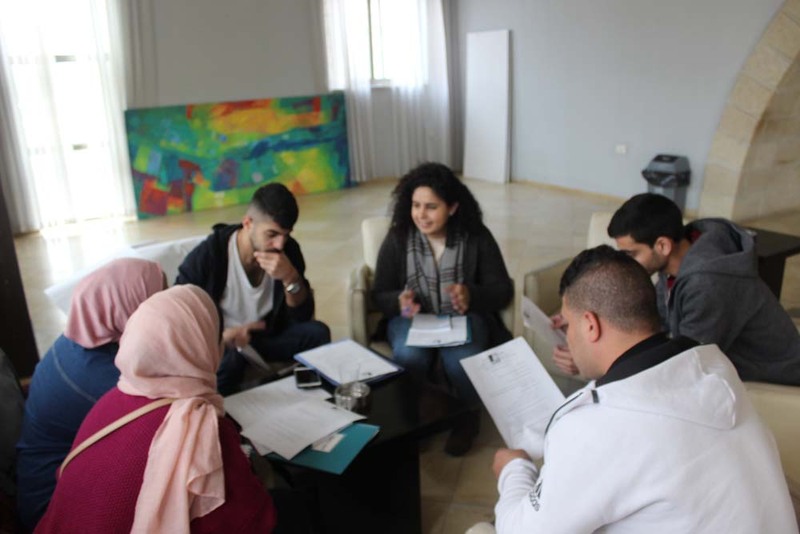 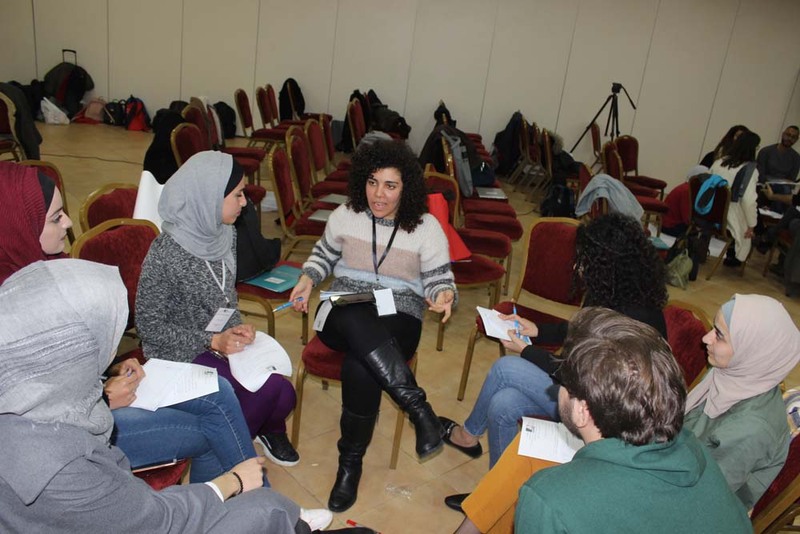 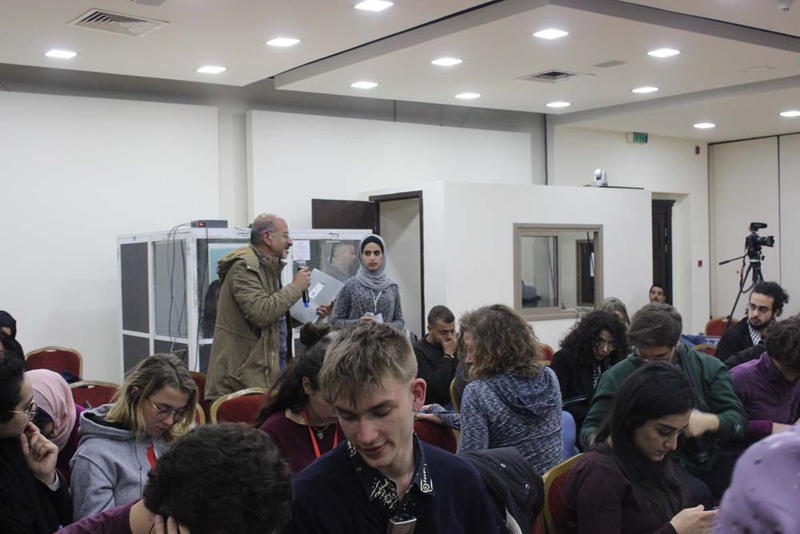 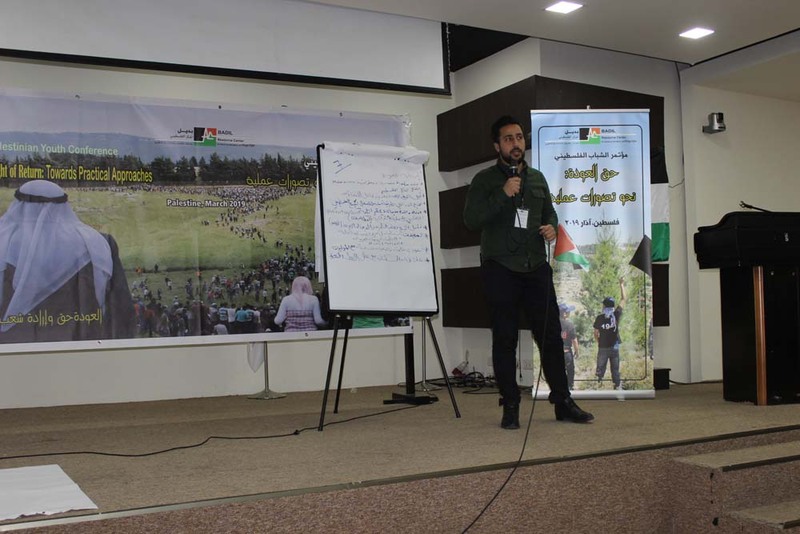 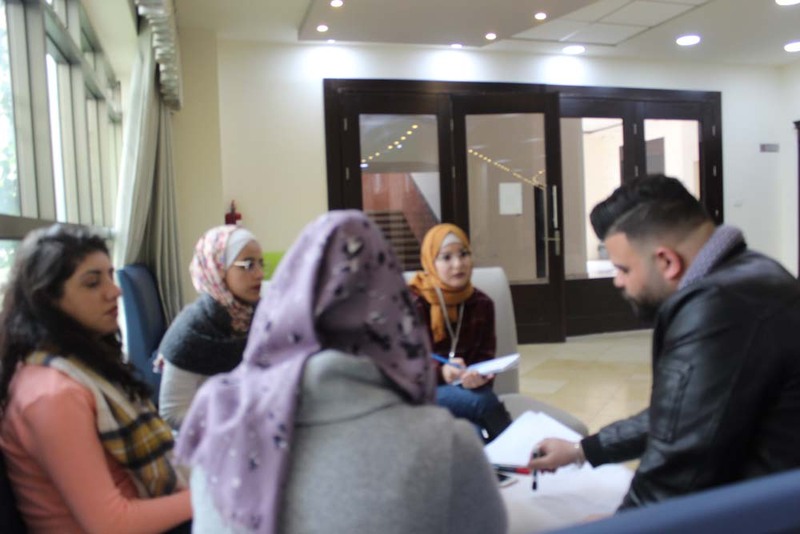 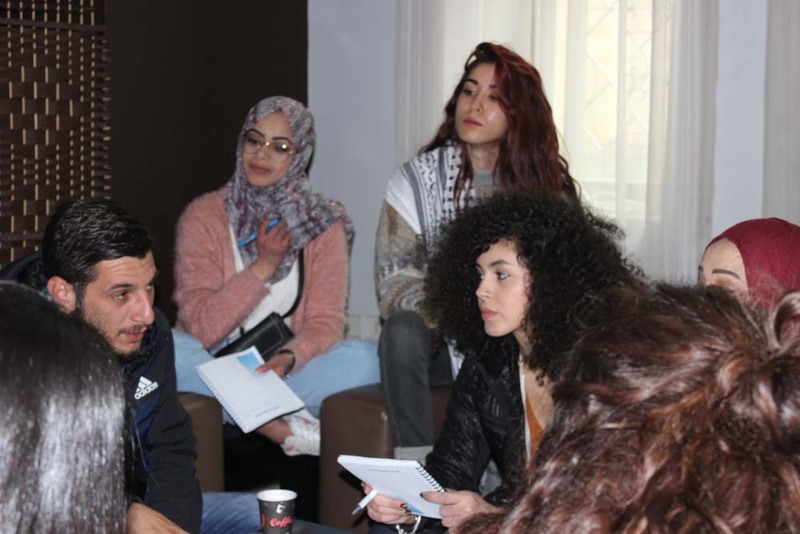 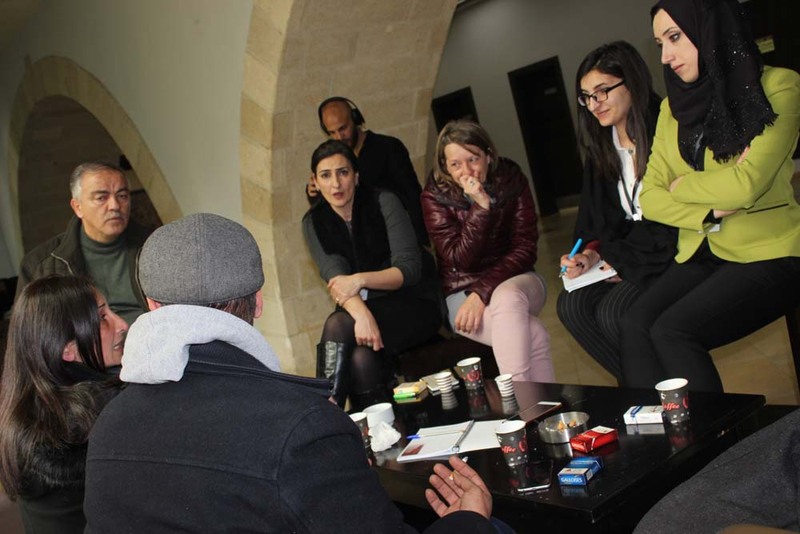 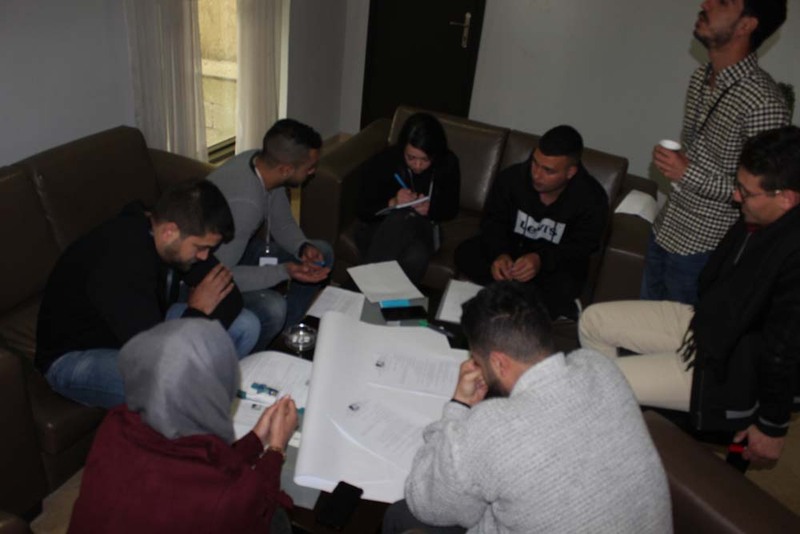 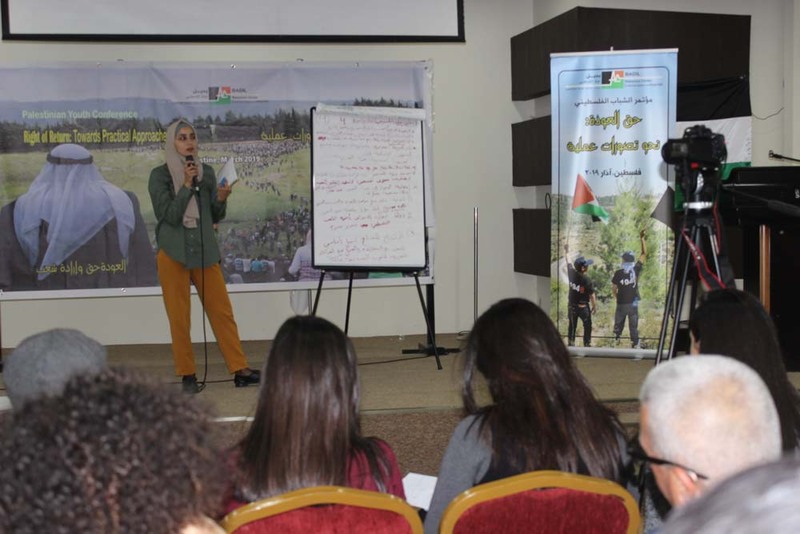 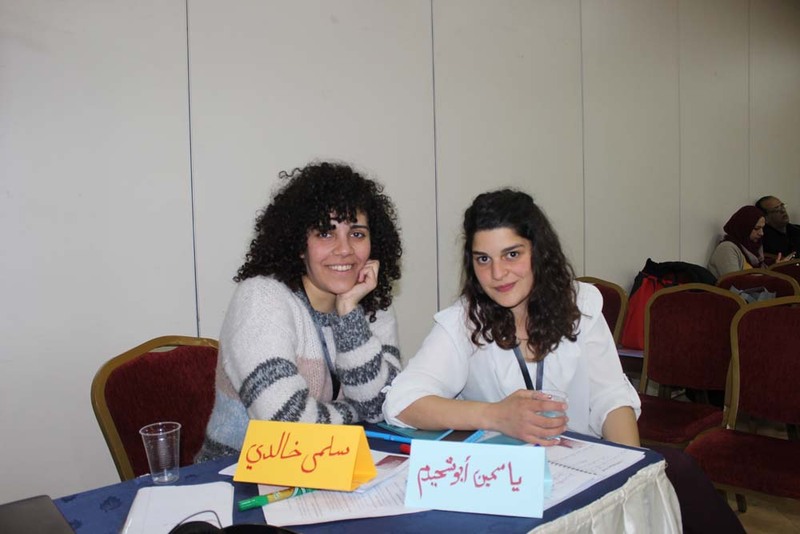 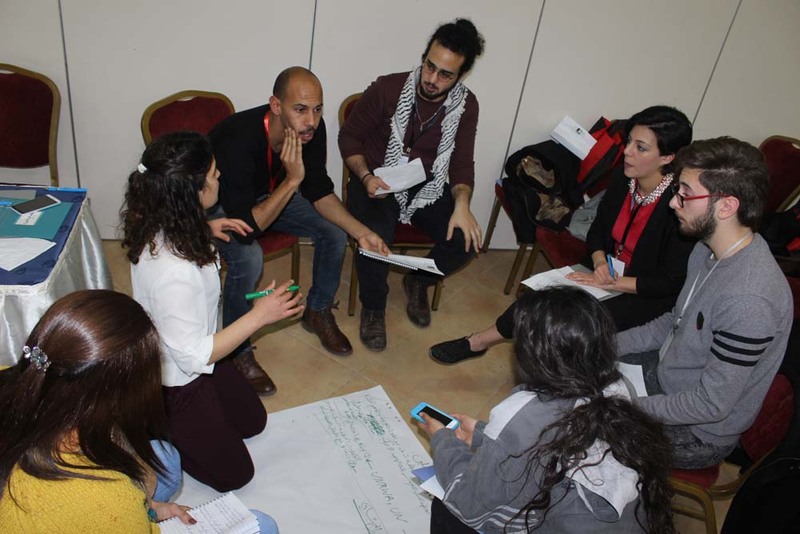 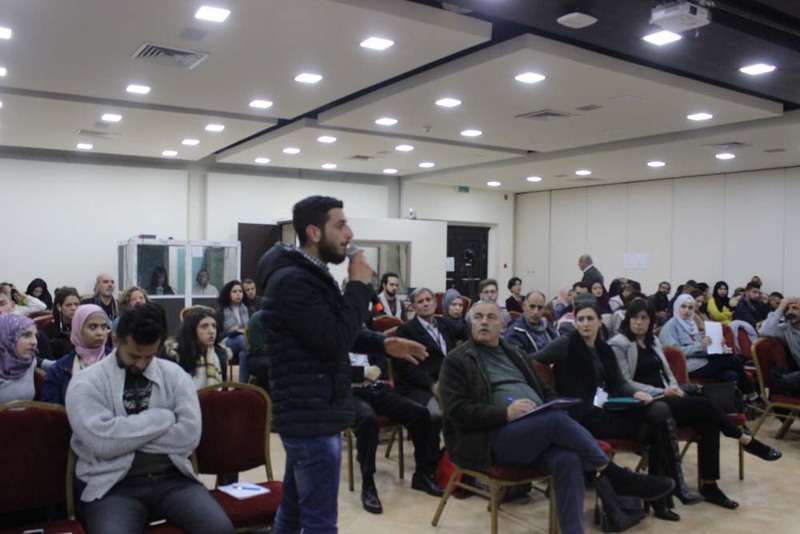 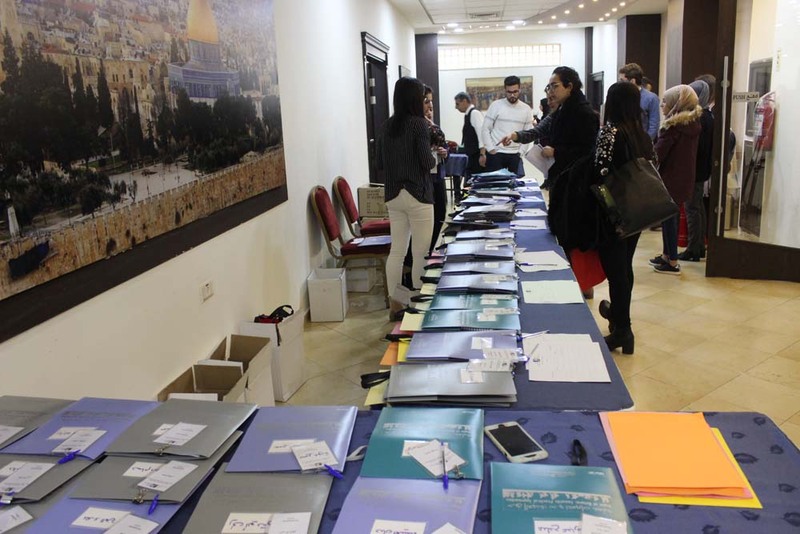 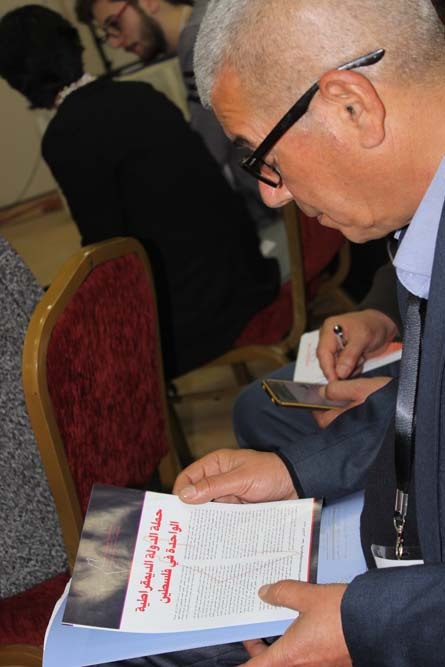 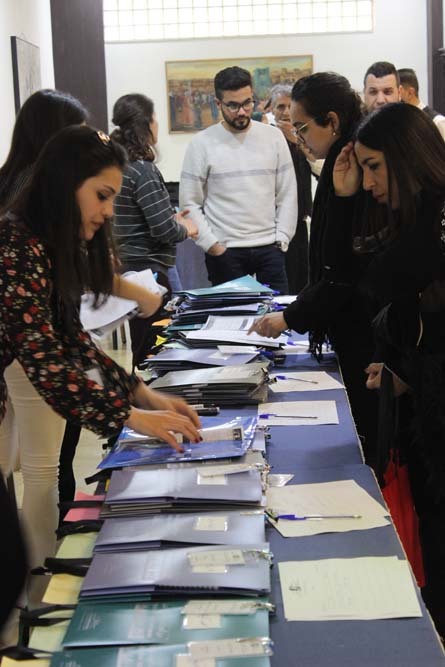 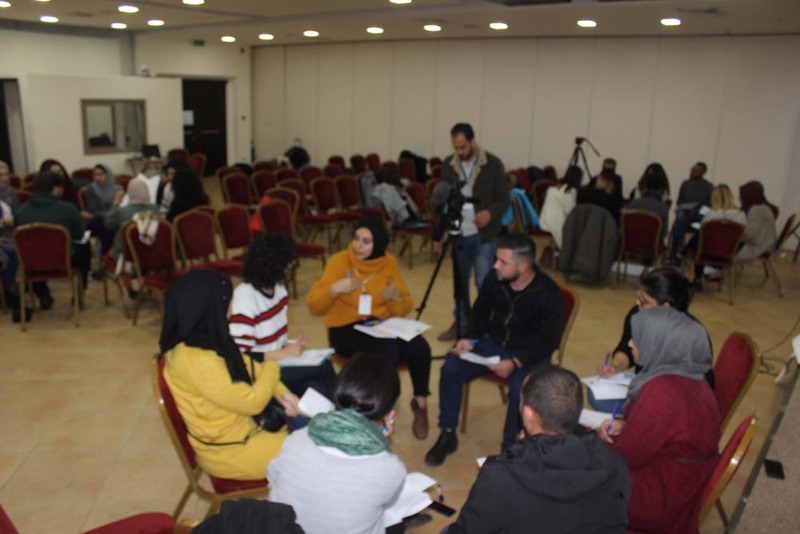 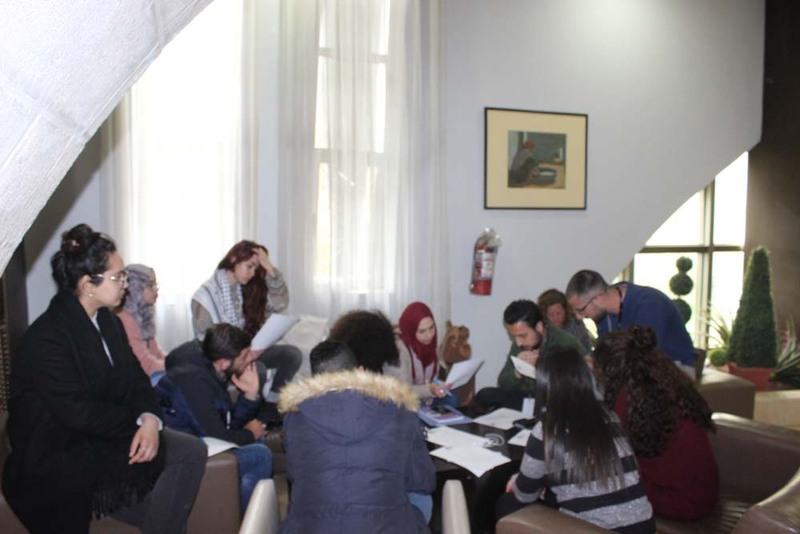 The conference was facilitated by the Al-Awda Youth Forum – an independent youth framework of Palestinian refugee and IDP youth established by BADIL in 2017. 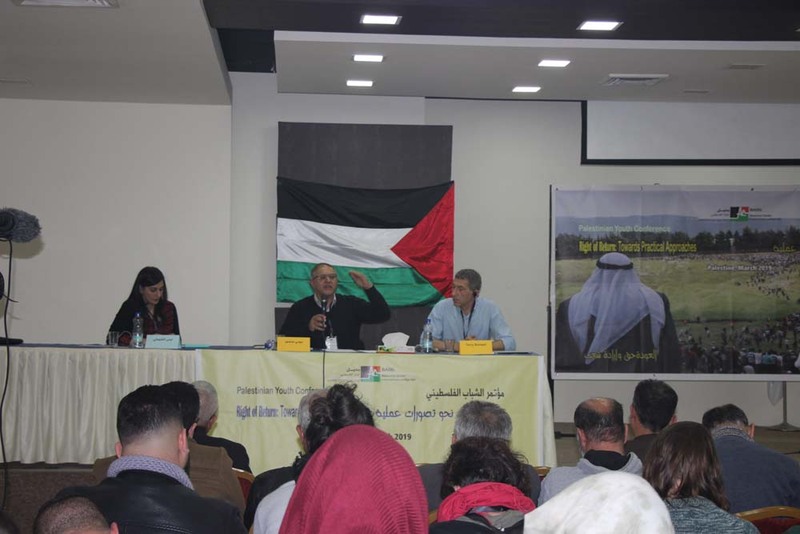 The first panel examined alternative legal frameworks from which to understand the Palestinian struggle for liberation and return; proposing a settler-colonial framework as opposed to the historic and current framework that sets two competing national movements against each other resulting in dual regimes and dual obligations. 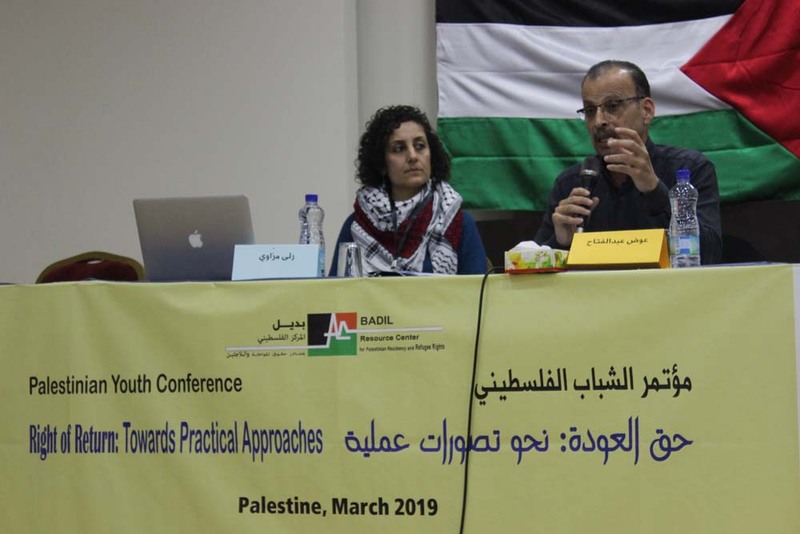 Further, the panel addressed the Israeli opposition to return, and the policies and practices that directly and indirectly denied return. 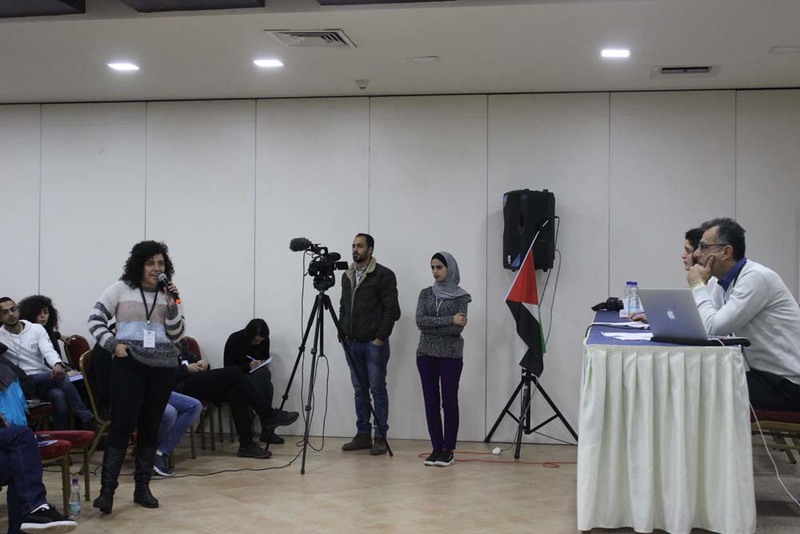 It identified the Balfour Declaration as the foundation for the consistent denial of the existence of the Palestinians as a people with national identity, while in parallel having created and established Jewish nationhood, and ensured their presence through a settler-colonial regime. 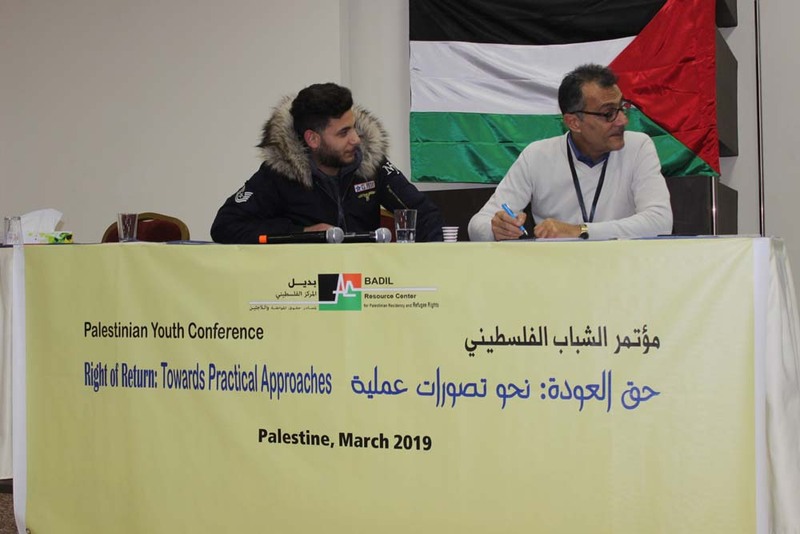 The second panel highlighted the role of the Palestinian Liberation Organization (PLO) and its initial strategy to liberate Palestine, to which the return of the displaced population was inextricably tied. 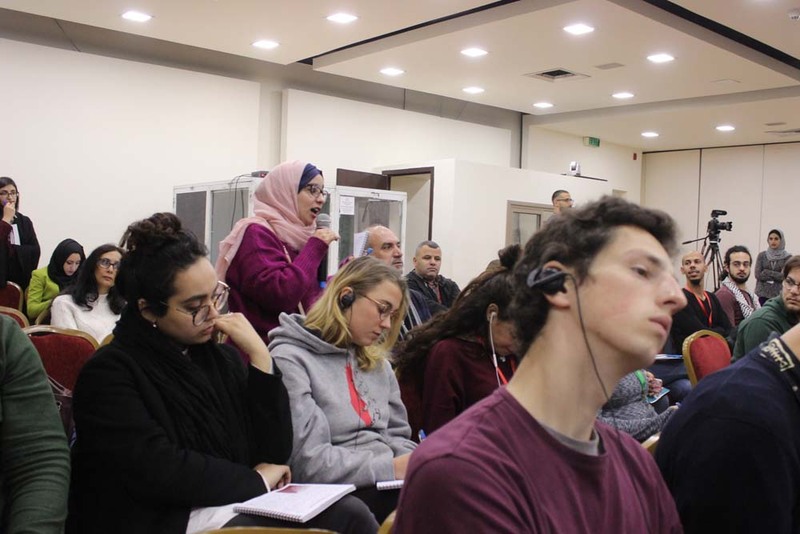 However, with the adoption of a negotiations approach, and specifically the Oslo Accords, the liberation and return approach was traded for a statehood approach in which the right of return is merely a right to be negotiated. 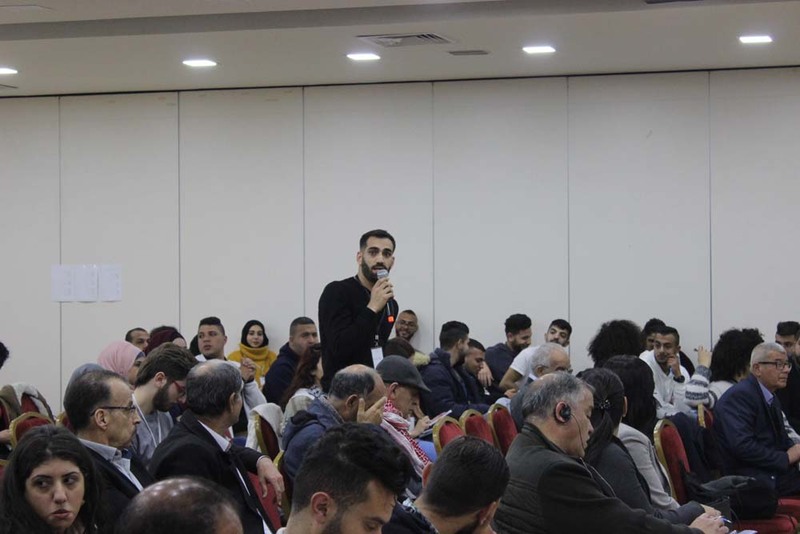 The panel also comparatively assessed the predominant political approaches; particularly within a one state or two states solution. 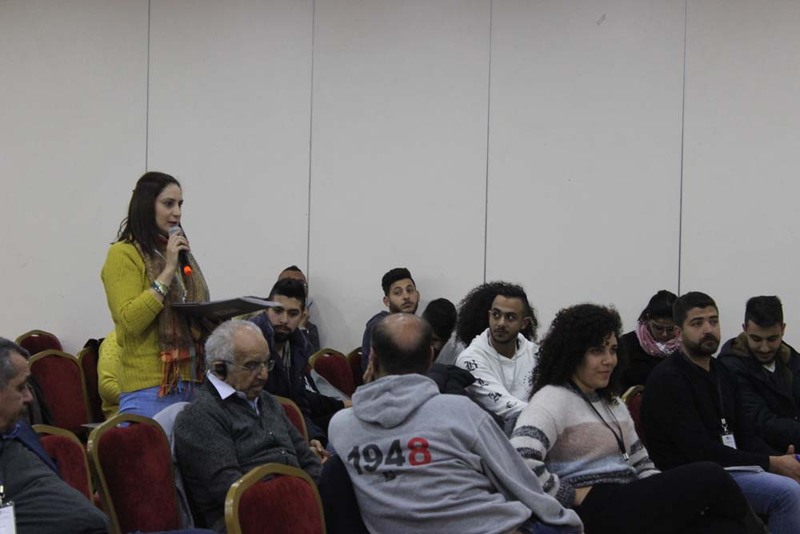 The panel emphasized the potential role and responsibilities of the youth within a new or reformulated national struggle. 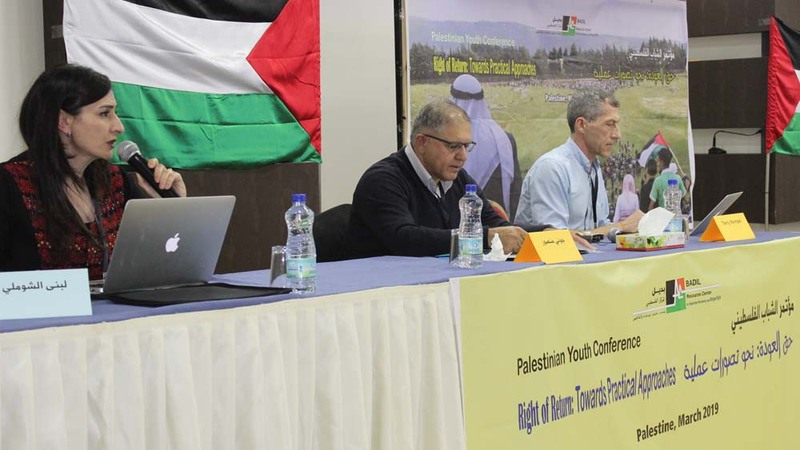 The third panel presented South Africa and the ongoing challenge of land reform and redistribution as an example from which Palestine could learn. 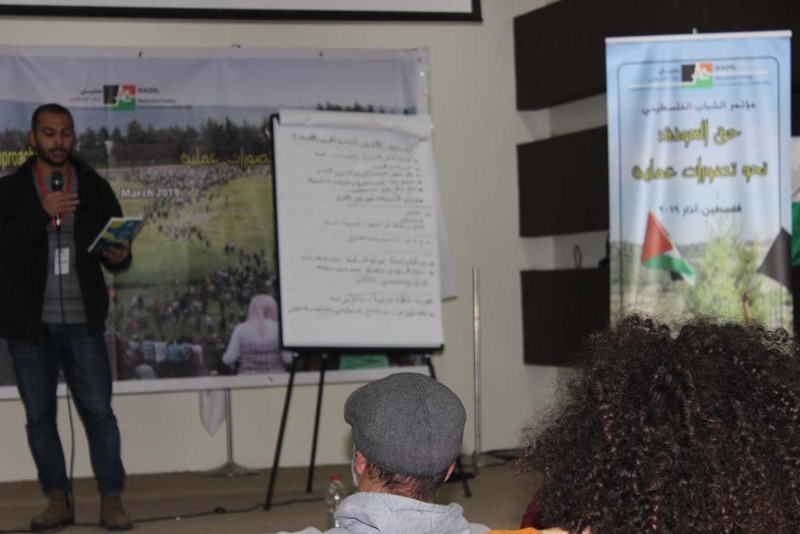 It highlighted particularly the problem of relying on goodwill and market drive structures to achieve land reform. 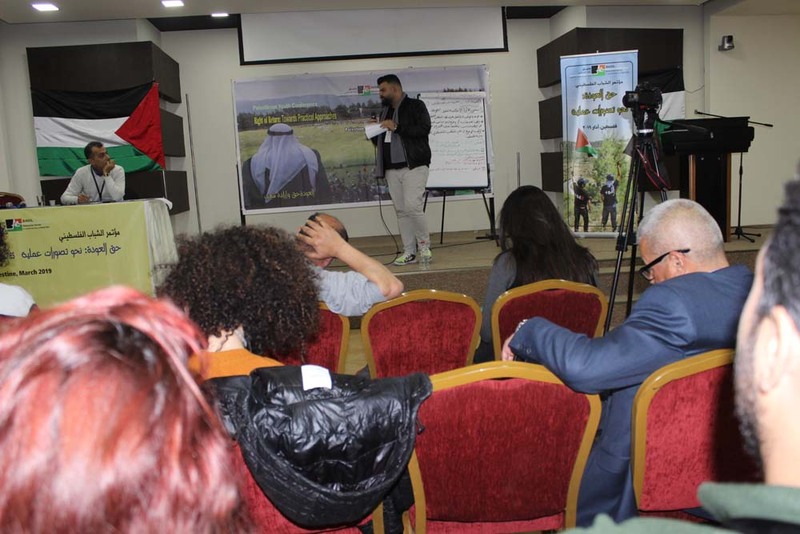 This prefaced the discussion of the need for a rights-based solution in any exercise of the right of return, while examining the shortcomings in the two predominate approaches to the Palestinian situation, the humanitarian aid approach and the conflict-management approach. 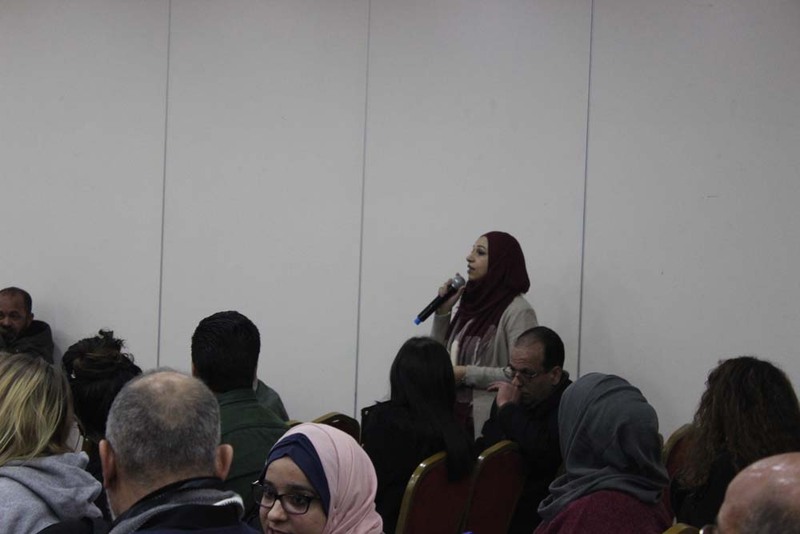 This panel cautioned for the need to be realistic and pragmatic without giving legitimacy to the current state of affairs. 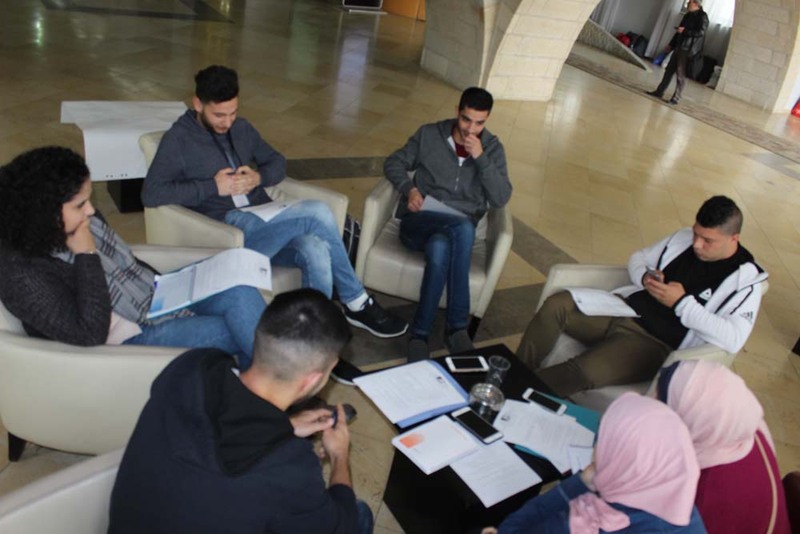 So, equipped with the legal frameworks, knowledge of history, practical considerations, the challenges and shortfalls, the platform was then given to youth to explore and present their thoughts on the practicality of return. 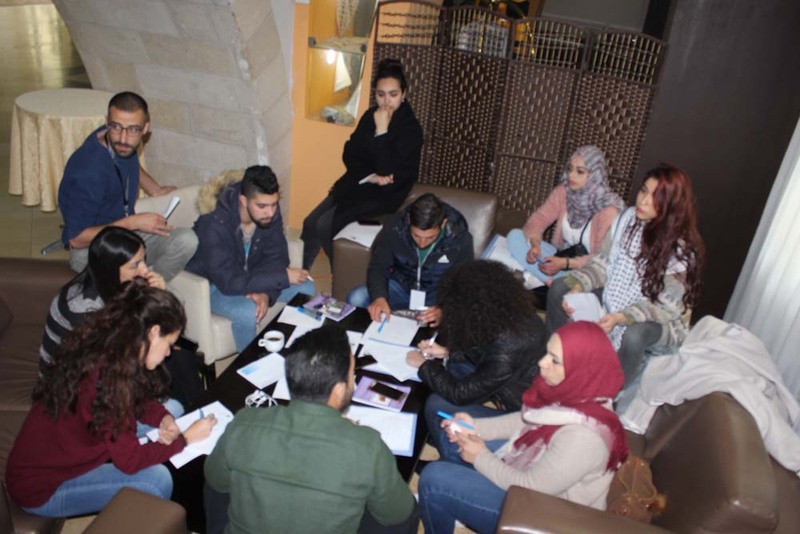 First, the youth participants were divided into working groups, and provided with guiding questions, to examine among themselves and to put forth their perspectives and develop ideas for a strategy for achieving a practical return. 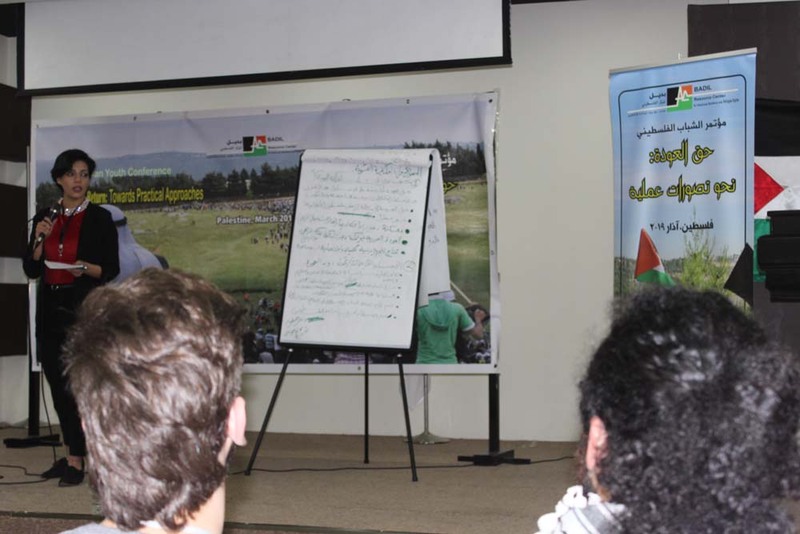 Eight youth groups of 8-9 participants each presented their ideas and recommendations. 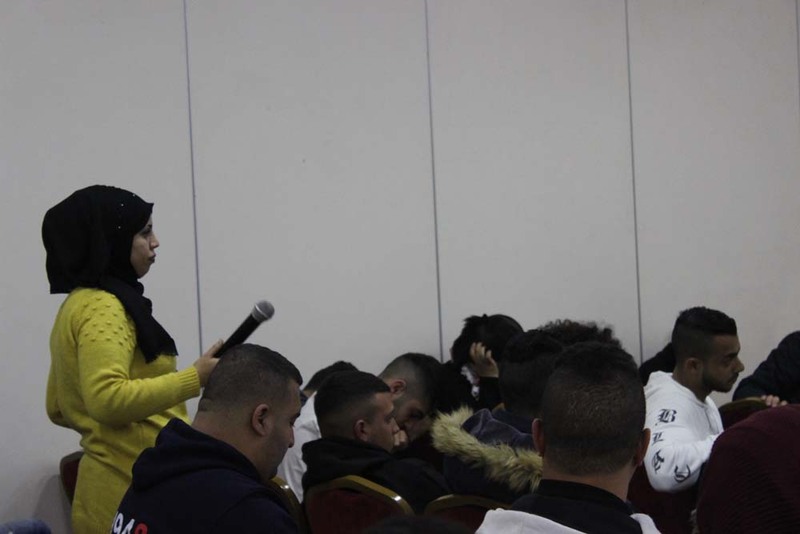 An additional group comprised of 2nd generation refugees, IDPS and activists, also discussed and presented recommendations to the youth. 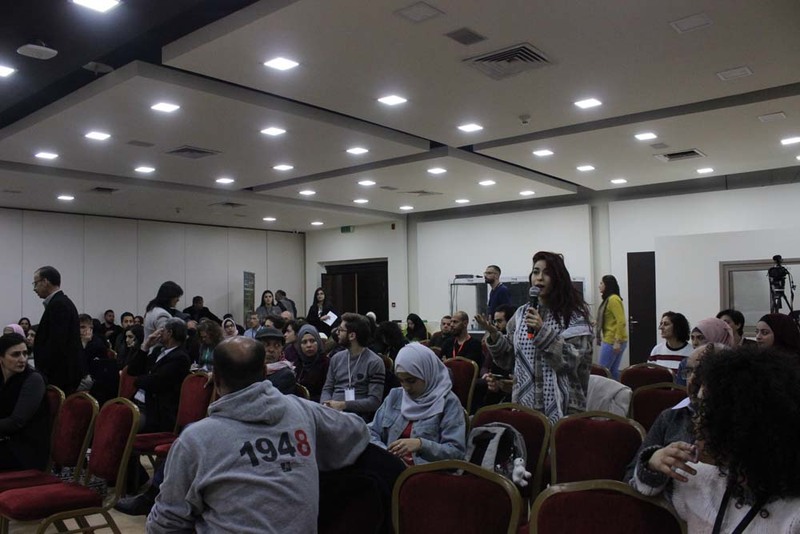 The floor was then open for broader discussions and critic from all the participants. 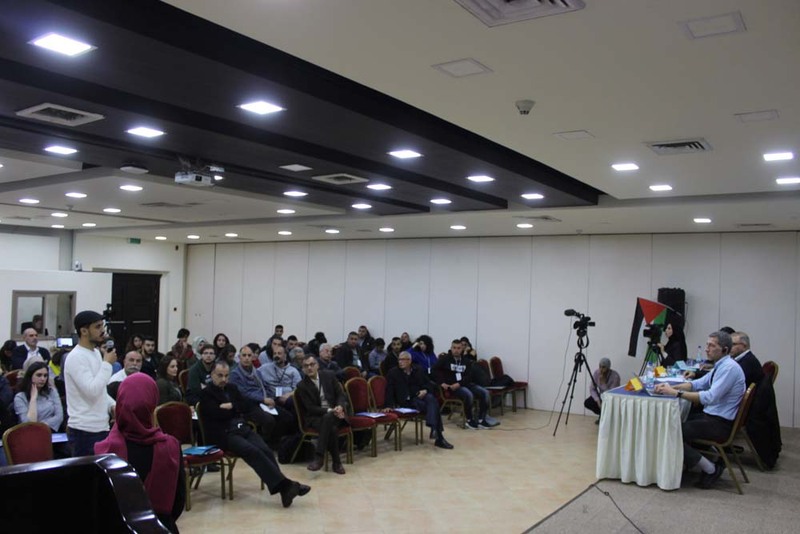 The entire conference was streamed live on Facebook and may be viewed here. 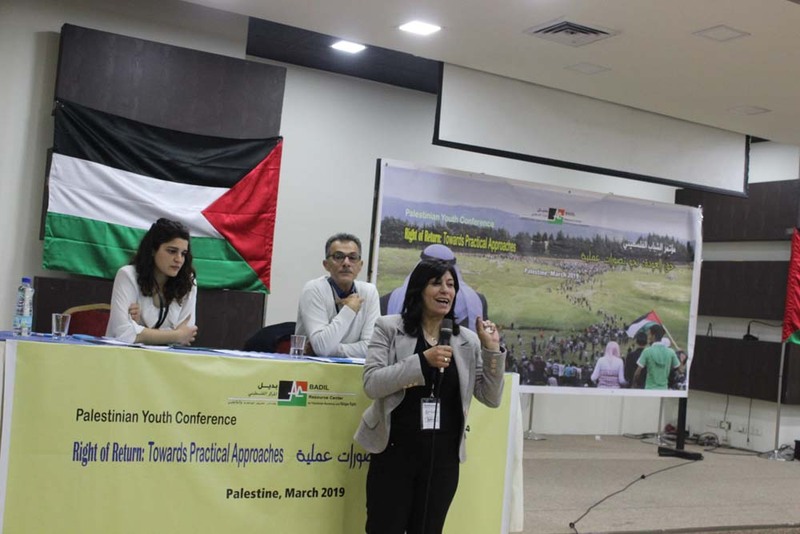 The outputs of the conference –including the materials and topics presented- but more importantly the youth presentations and discussion will be made available in a printed and online publication in the coming months.